Are you ready to publish or submit to a literary agent? You might be. But is your manuscript as squeaky clean as you think? 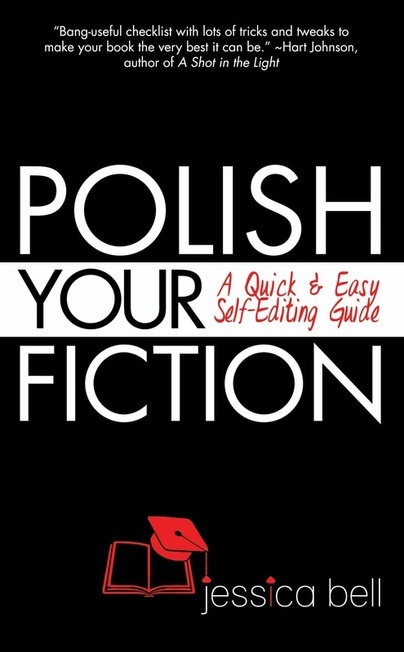 Polish Your Fiction: A Quick & Easy Self-Editing Guide will help turn your manuscript into a shiny book. With more than ten years’ experience as an editor and author of both fiction and nonfiction, I offer you my tried and tested advice on the quickest and easiest ways to polish different areas of Writing Style, Consistency of Prose, Grammar, Punctuation, Typography, and Layout. Each section is armed with a numbered checklist for moments when you need that “at-a-glance” reminder and nifty Microsoft Word tricks that will save you time. At the end of the book there are also magnificent accounts of editorial mistakes other authors have made during their careers, to show you that no matter how many times a book is edited, something always slips through—so don’t be so hard on yourself! *Indispensable companion to the bestselling Writing in a Nutshell series.